Being a counsellor and Expressive Arts Educator, I love having conversations about the art of emotional healing. I invite you to listen in on these "deep chats" below. Bebe gave me my first "big break" in the online creativity world and it was just in the nick of time. When I first talked to her on the phone I was working in a 67 year old government art program for Canadian Veterans. Our program was sadly in the process of shutting down due to funding cuts, and I was in the midst of a grief process. Because I did not have time to explore what anyone else was doing online I was hesitant about participating in Bebe's online project. I wondered out loud, "What is this online creativity world?" I will never forget sitting on the curb in the hot sun outside the studio, listening to Bebe's bright beguiling voice saying, "You can do this!" And, I intuitively said, "Yes!" So many of us in the online creativity world loved bright star Bebe Butler. When Bebe interviewed me last year for her second online event luxuriously (and accurately) entitled, "Soul Spa" she had just been diagnosed with cancer for the second time. Sensing into this new reality, I quickly changed the direction of my interview. I felt called to share more personally with Bebe about the mysticism of life and death, and how to heal painful memories. This Skype interview with artist and deep soul Hali Karla was a delight for me - even as my Skype froze hilariously at certain points. I love Hali's depth of inquiry and refection in the interview process which was no doubt deepened in her former career as hospice nurse. Hali walks with such tender connection to creativity, healing, and the transparency of suffering. We talk together about creative practice, creative community, and knowing how to pace ourselves in the spontaneous creative/emotional process. A fun conversation with Stacy Hoffman-Farmer about healing emotional repression with collage therapy. I loved Stacy's honest willingness to share of herself with me and we had a great conversation about the benefits of collage as a form of personal therapy. A great conversation with Wild, Creative and Confident Coach Sarah Marie Thompson about melding the spiritual world with our practical world to create more abundance. A wonderfully lively conversation with Egypt Burge, a women’s self-care coach who has put together an interview series on self-care. What came up for me in this self-care summit was the topic of burn-out, and how as we can often do too much in an effort to "get ahead." I loved talking with spiritual life coach Christina Sharp about healing the emotional self so that we can see the possibility of something bigger. We discuss how our survival selves are driven by fear, and how to overcome fear to embark on the "Hero/Heroine's Journey." Looking back, I see that I had "stuff" to emotionally heal from my teen years around giving away my power as a young female. This made me overly anxious about my daughter. I recently had a great conversation with teen resilience coach Deanne Barrett about how I healed my "inner teen" through deep contemplation, writing, dance and drawing. I share about this process in the You Tube interview below. Please join us in our lively conversation. 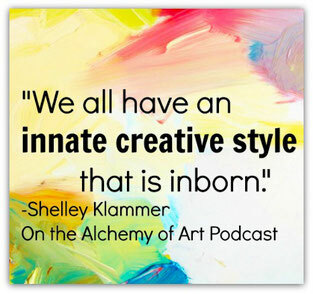 How to Find Your Intuitive Art "Style"
What a fun conversation about all things art I had with Addie Hirschten - artist and podcaster extraordinaire. We talked about my evolution from being a gallery artist, into becoming an intuitive/expressive artist. As an expressive arts facilitator over the past ten years, I have worked with artists from the ages of 2-106. I shared some of my discoveries with Addie about how, as artists, we can find and develop our unique intuitive art "style." Join us in this creative conversation! Alison Palmer is an international business and leadership coach for coaches, writers, healers and creatives. I had the pleasure of chatting with passionate, loving Alison about teaching authentically from the heart. Join me and artist Karen Abend in Sketchbook Revival for a mini expressive arts workshop! I had the wonderful opportunity to talk about healing trauma with the expressive arts with Jennifer Cunningham in her Post-Traumatic Enlightenment Interview Series. In preparing for my chat for writer Dawn Montefusco's interview show called "Write Your True Story," I had a surprising encounter with my inner writer that brought tears to my eyes. The night before our interview, just as I was about to fall asleep, the writer part of myself spoke up and said, "I want to share about how passionate I am about writing!"